Paul Courant is the Harold T. Shapiro Collegiate Professor of Public Policy, Arthur F. Thurnau Professor of Economics and Information and a Presidential Bicentennial Professor at the University of Michigan. 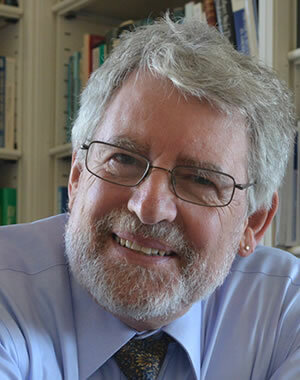 Courant has served as provost and executive vice president for academic affairs, as university librarian and dean of libraries, as associate provost for academic and budgetary affairs, as chair of the Department of Economics, and as director of the Institute of Public Policy Studies (predecessor of the Ford School). He served as a senior staff economist at the Council of Economic Advisers from 1979 to 1980. Courant has authored half a dozen books and more than six dozen papers covering a broad range of topics in economics and public policy. More recently, his academic work has focused on economic and policy questions relating to universities, libraries and archives, and the effects of new information technologies and other disruptions on scholarship, scholarly publication, and academic libraries. He was a founding board member of both the HathiTrust Digital Library and the Digital Public Library of America, and is a member of the advisory committee of the Authors Alliance. Courant holds a bachelor's in history from Swarthmore College (1968), a master's in economics from Princeton University (1973), and a doctorate in economics from Princeton University (1974). Higher ed leaders on "The evolving bargain between research universities and society"